"I see everything. Everything the dead people see. This is where they live. 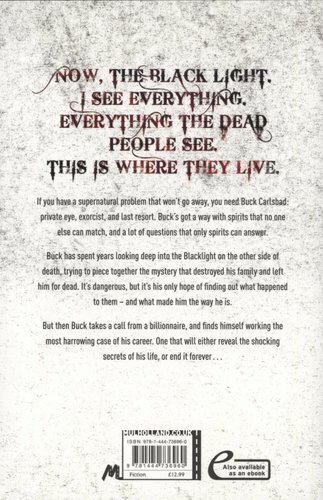 If you have a supernatural problem that won't go away, you need Buck Carlsbad: private eye, exorcist, and last resort." Buck's got a way with spirits that no one else can match, and a lot of questions that only spirits can answer. 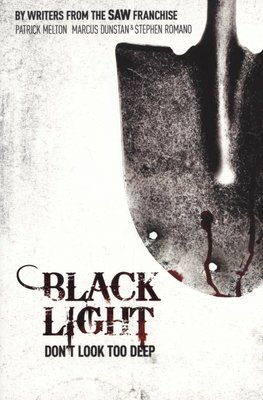 Buck has spent years looking deep into the Black Light on the other side of death, trying to piece together the mystery that destroyed his family and left him for dead. It's dangerous, but it's his only hope of finding out what happened to them - and what made him the way he is.